■ A urinary catheter may be inserted to drain the bladder before or during a surgical procedure, during recovery from a serious illness or injury, or to collect urine for testing. ■ A urinary catheter may be used for a person who is incontinent of urine, if the person has wounds or pressure ulcers that would be made worse by contact with urine. 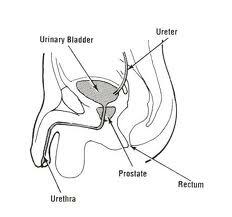 ■ A urinary catheter is necessary when a person is unable to urinate because of an obstruction in the urethra. Usually, inserting a urinary catheter is beyond the scope of practice for a nursing assistant, although in some facilities, nursing assistants are provided with additional training that allows them to catheterize residents or patients. Inserting a catheter is a procedure that requires sterile technique because it involves putting a foreign object (that is, the catheter) into a person’s body. If sterile technique is not used, the catheter can introduce infection-causing bacteria into the bladder. Regardlessof whether or not you are trained to actually insert urinary catheters, caring for people who have urinary catheters in place will almost certainly be a part of your daily duties. You will see many different types of urinary catheters in use. A straight catheter, also known as a Robinson, Rob-Nel, or Red Rubber catheter, is used when the catheter is to be inserted and removed immediately. 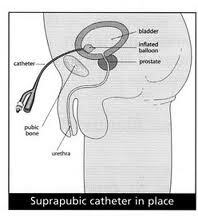 The catheter is introduced into the bladder, the urine is allowed to drain out, and the catheter is removed. issued by the CDC state that urinary catheters should not be used to obtain urine samples from a person who is able to void voluntarily because of the increased risk of infection.